This is not your average 2-into-2 exhaust system. 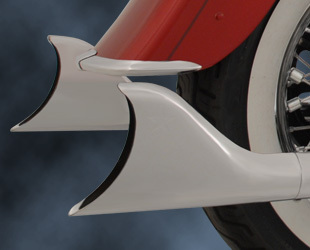 Freedom True-Duals exhaust system features left and right side pipes that run the length of your bike. They are the most stunning display of engineering and precision on the market, consisting of blue-proof heat-shield technology throughout the entire pipe and stainless steel hardware for muscle. As an option, these duals also come with different tip designs for distinctive styles and a personalized look. Freedom finishes every performance exhaust system with our signature show-stopping chrome. "Feel the power of Freedom" while you burn asphalt with the true duals power!! !